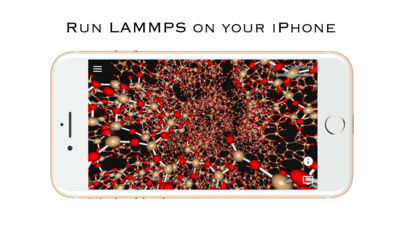 LAMMPS on your phone/tablet! Learn about atomic physics or show your research to other people. 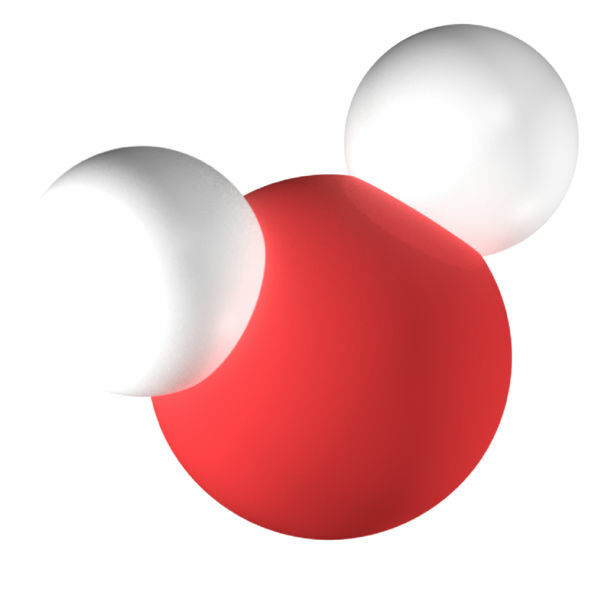 Gain intuitive visual understanding of how atoms behave in liquids, solids and gases. With Atomify, your phone/tablet is transformed into a physics simulator allowing you to study atoms and molecules building up everything on this planet. In Atomify you are in charge of the universe. You are God. Perfect for anyone wanting to understand physics at the atomic level. 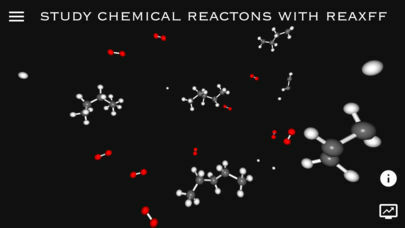 The simulations are performed with the high performance molecular dynamics code, LAMMPS. 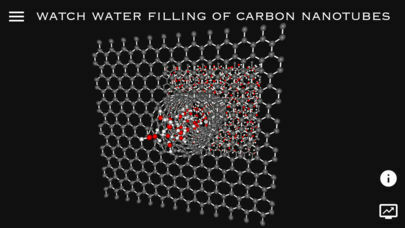 Developed by Anders Hafreager and Svenn-Arne Dragly (PhD candidates at the University of Oslo). 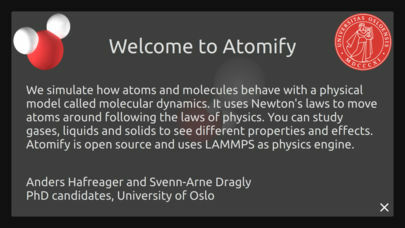 Atomify LAMMPS is open source (GPLv3) and the source code can be found on GitHub.